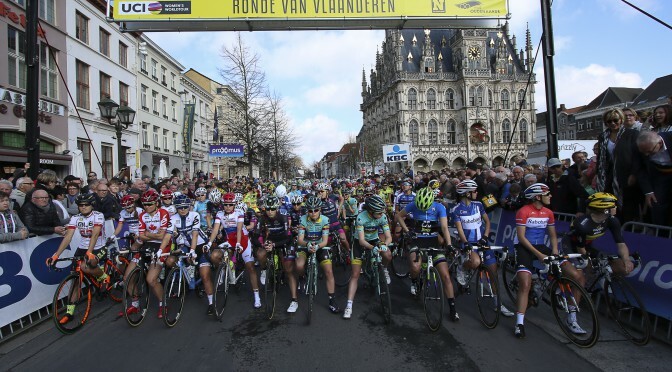 In the 5th race of the Women’s WorldTour (WWT), the beautiful Ronde Van Vlaanderen, our team lined up with a goal of another top ten result. 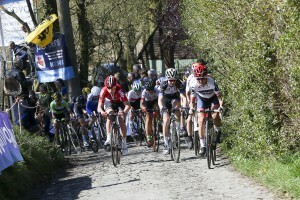 The riders were met by sun, good temperatures, short sleeve weather and no need for the typical spring classic “how much are you wearing” talk before start. 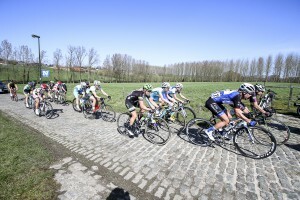 The atmosphere in Oudenaarde was great and the girls highly motivated to do a strong race. 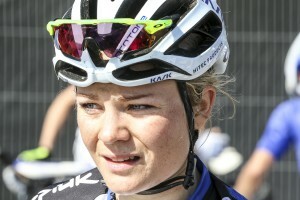 Already early in the race Janicke crashed and after trying to get back on the bike found herself forced to stop. 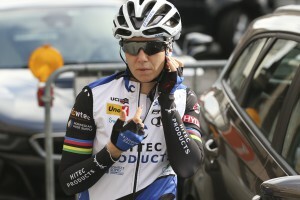 Some kilometers later, after the first cobble sections, Charlotte had technical issues. The service car had to wait between all the small groups that formed behind the peloton before they finally got to Charlotte with a spare bike. 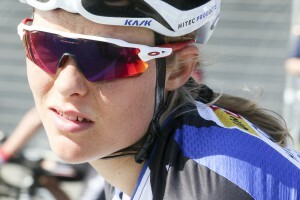 While waiting Charlotte suffered cramps, cramps that would not go away even on her new bike and had to stop. 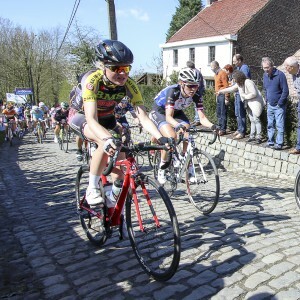 With two riders out, Emilie, Julie and Tatiana had their work cut out to support Lauren in the front. When the leaders group formed it was without our girls and Lauren found herself trying to bridge up to the group in front. Unfortunately, she did not make it and finished in 26th just ahead of the group with the rest of our girls. Although not the result our girls aimed for, the teamwork was working well and we are sure great results are just around the corner again. Our team has already started on new challenges in the Energiwatch Tour in the Netherlands. On Wednesday 06th of April the team finished 6th in the Team Time Trial. The team for the week: Julie Leth, Emilie Moberg, Kirsten Wild, Charlotte Becker, Tone Hatteland Lima and Tatiana Guderzo. 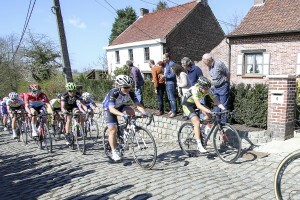 The TTT on Wednesday was the first stage of six and will finish on Sunday 10th of April, info about the race can be found here: http://energiewachttour.nl/index.php/en/ More info from our girls in the Netherlands to come during the week.